I have created a file composed of a CV, portfolio, cover letter and recommendations, visit card. Instead of the traditional and universal title “CV”, I named mine Path of Life, which is ultimately the meaning of the Latin expression Curriculum Vitae. First, instead of the traditional and universal title “CV”, I named mine Path of Life, which is ultimately the meaning of the Latin expression Curriculum Vitae. I treated this CV as its title indicates: a path, a journey. It’s a resume to unfold which the years parade and tell my career. So it is a CV created to be received by hand, because it needs to be unfolded. I used mainly Adobe InDesign but of course Illustrator and Photoshop too. 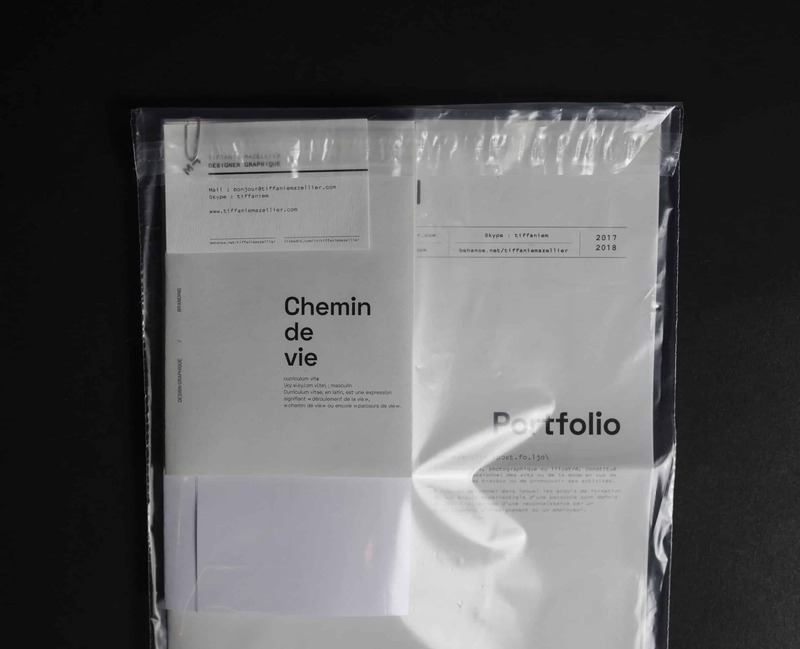 After several test prints, especially for the CV, I then printed all the media (portfolio, CV, business cards, recommendations) that I assembled by hand in the form of folders in a plastic bag. When I showcas this project on Behance I first received a lot a good replied. People said that the project was very original and well executed. After posting this on Behance I received 2 demands from people to work with me. After 1 month, my work has been featured by AIGA (American Institute of Graphic Arts), then by the Graphic design gallery and InDesign gallery.